This is the use of software with artificial intelligence and machine learning capabilities to handle high-volume, repeatable tasks that previously required humans to perform. These tasks can contain queries, calculations, and maintenance of records and transactions.we are providing RPA training by real-time faculty who has 6+ years of experience. 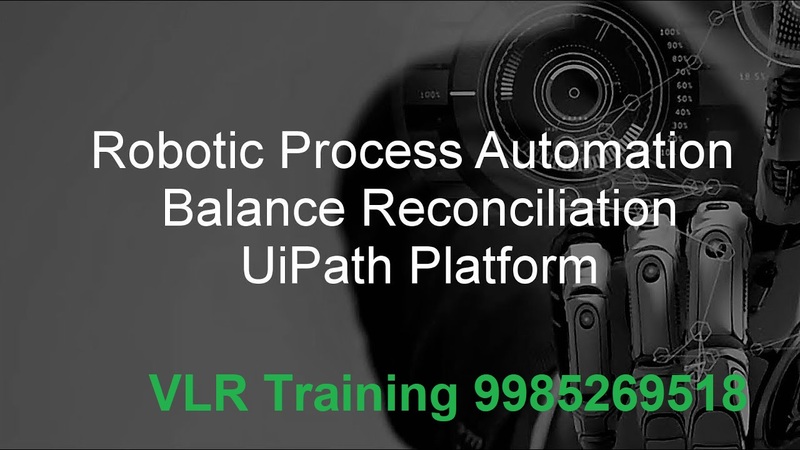 RPA TOOLS ONLINE TRAINING providing by VLR Training best software training institute in Hyderabad. By real-time industry experts and also we provide real-time Live projects and RPA Tools Online class recording sessions. RPA online training demo videos: Please watch this demo and regular class video in below links. Hey I would like to learn Robotic process automation tools (UiPath, Automation Anywhere, Blue Prism). Please let me know when can you arrange demo session on it.